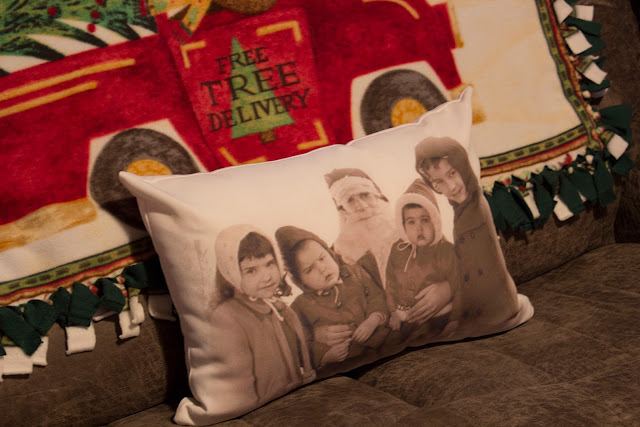 Last Christmas I took an old family photo of my brothers and sister with Santa and had it put on a pillow for my mom and sister for Christmas. I loved them so much that I ordered one for myself! It's too late to order for this year I'm sure, but you can get one by submitting the image you want to use at fineartamerica.com. They print the design on both sides. This makes a very special gift for a loved one any time of the year! Oh, my gosh...I LOVE this idea so much. Thank you for heads up on it and the link. Regarding the plaid throw in my cart...I bought it at Target. Adorable and a very good idea! 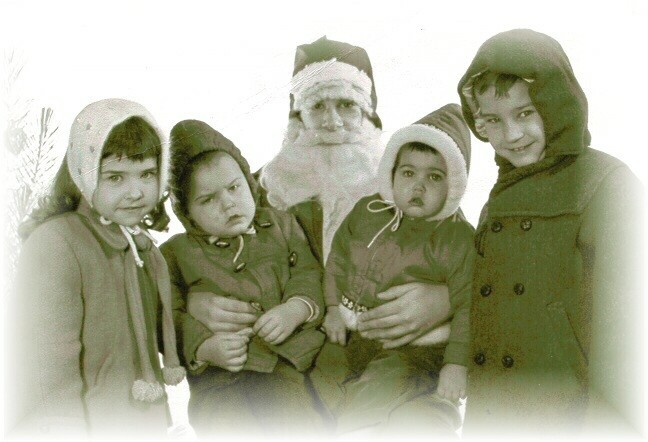 What a group of cutie pies. I loved my hat like the one you're wearing. This gift must have blessed your mother so much.